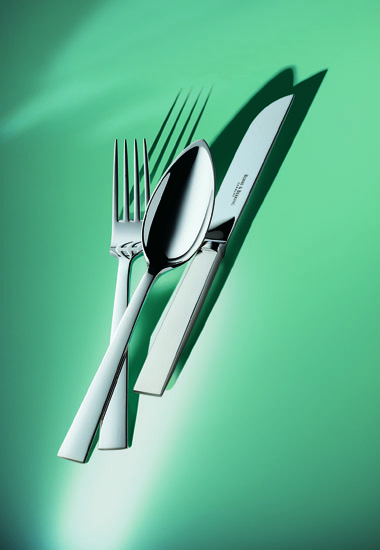 Cutlery of such strong character and at the same time such simplicity has never before been seen in this form. The shape of the spoon mouthpiece is reminiscent of the bow of a classic yacht. Each of the over 40 cutlery items featuring this pattern looks like a sculpture on the table, making Riva a modern masterpiece of silversmith artwork in unsurpassed artisan perfection.